The wife is at a conference and what am I doing? Why training of course! 🙂 While she is working on improving her knowledge I am dong the same. 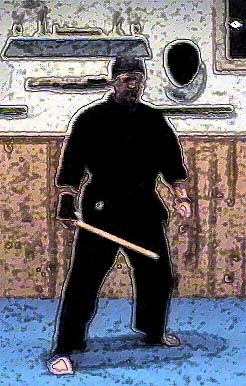 Now my line up over the next few day’s is partially solo training and partially getting in some private Silat training. Today I am working 10 Count extensively particularly with an eye from switching from the parry, check mode to parry, thrusting mode with the off-hand dagger. It is hard to describe it unless you know our specific methodology in doing the IRT 10 Count but the major difference is the off-hand of short knife hand thrusts in certain moments instead of just checking the opponents long knife. 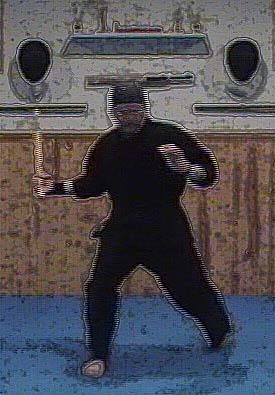 Of course since this is a counter for counter two person drill (though it can also be done solo) when you thrust with the short knife the opponent must also check that knife. I do this drill extensively in solo training and with very advanced IRT practitioner’s. (10 Count and Beyond) Look for our exciting 1,2,3,4,6,10 Count and Beyond DVD soon and learn the IRT methodology at its highest level. In the following video clip you can see the basic 10 count performed with only the long knife and taught in our IRT Online series designed for IRT practitioner’s who already know the material.